For as yet scientifically unknown reasons, times occur when an unsuspecting person can just burst into flames and be incinerated. The flames begin within the victim’s own body and are horribly complete in their work, reducing their human fuel to a pile of ashes in minutes — sometimes seconds. The whole event is so quick and selective that objects near the victim show only minor heat damage, if any at all; sometimes, even the victim’s clothes are left untouched. These inner flames have been occurring for as long as mankind has existed; but most coroners, pathologists, scientists, and fire officials ignore such evidence, blithely choosing much neater and less controversial explanations for these unexplained deaths. Many contend that Spontaneous Human Combustion is first documented in such early texts as the Bible, but, scientifically speaking, these accounts are too old and secondhand to be seen as reliable evidence. The first reliable historic evidence of SHC appears to be from the year 1763, when Frenchman Jonas Dupont published a collection of SHC cases and studies entitled De Incendiis Corporis Humani Spontaneis. Dupont was inspired to write this book after encountering records of the Nicole Millet case, in which a man was acquitted of the murder of his wife when the court was convinced that she had been killed by spontaneous combustion. Dupont’s book on this strange subject brought it out of the realm of folkloric rumor and into the popular public imagination. After this brief flap blew over, general interest in the subject ran cold until 1951, when the Mary Reeser case captured the public imagination. Mrs. Reeser was found in her apartment on the morning of July 2, 1951, reduced to a pile of ashes, a skull, and a completely undamaged left foot. This event has become the foundation for many a book on the subject of SHC since, the most notable being Michael Harrison’s Fire From Heaven, printed in 1976. Fire From Heaven has become the standard reference work on Spontaneous Human Combustion, and I will be adding its findings and theories to this article over the next few months. According to Jenny Randles in her book, Strange & Unexplained Mysteries of the 20th Century, 1980 was a ‘bumper crop’ year for SHC. Randles claims that ten per cent of all known cases of SHC occurred in that year; an interesting claim, considering that Randles herself only details one case from that year. She asserts that, according to a database that she and Peter Hough compiled in 1990, there were eleven possible cases of SHC globally in the 1950’s, seven in the 1960’s, thirteen in the 1970’s and twenty-two in the 1980’s. I will double-check this claim. While no cases fall into both major types (how could they? ), some cases do fall into more than one sub-type within a type. Fatal cases of Spontaneous Human Combustion represent three-quarters of all cases I have encountered in my research. This is understandable. Where no victim is left to explain what happened, there is room left open for mystery; and, in a majority of these cases, there was no witness to the actual event itself other than the victims. In this group of cases there appears to be three major sub-types that encompass most, but not all, of the cases. 1) The victim’s body and clothing is mostly reduced to ash. 2) Small portions of the body (an arm, a foot, maybe the head) remain unburned. 3) Only objects immediately associated with the body have burned; the fire never spread away from the body. 4) A greasy soot deposit covers the ceiling and walls, usually stopping three to four feet above the floor. 5) Objects above this three to four foot line show signs of heat damage (melted candles, cracked mirrors, etc. ); objects below this line show no damage. These are the cases that are most commonly covered by popular media, and these are what most people think of when they think of SHC. This attention is most likely due to the number of these cases — fully one half of all cases I’ve documented — and the fact that these cases tend to be the most easily explainable, making them the focus of attention by skeptics. But more on that later. The next largest sub-type of cases are the Witnessed Combustions… cases when people are actually seen by witnesses to explode into flame; most commonly, the witnesses agree that there was no possible source of ignition and/or that the flames were seen to erupt directly from the victim’s skin. Though more uncommon than the Classic Burnings, these cases are more evidentially interesting in the argument for SHC. Unfortunately, most of the known cases of this type are poorly documented and basically unconfirmed. The last, and smallest, sub-type of the Fatal Cases are the Selective Burnings; “selective” because, while the victim has burned to death, objects associated with the body that should have burned also — the victim’s clothing, a chair the victim was found in, etc. — are undamaged. Again, these cases are evidentially promising if confirmed; but, again, they tend to be poorly documented. The remaining one-quarter of the cases of Spontaneous Human Combustion I have found in my research involve non-fatalities. Unfortunately, the victims of these events generally have no better idea of what happened to them than do the investigators; but the advantage to this grouping is that a survivor can confirm if an event had a simple explanation or not. Thus, there are far fewer cases of SHC with survivors that can be explained away by skeptics without a second look. As with the Fatal Cases, I see three major sub-types in the Non-Fatal Cases. The first sub-type are those exhibiting Mysterious Flames, representing a little over half of the known Non-Fatal Cases. This feature might sound obvious at first; after all, SHC is, by definition, people burning. As it turns out, however, a large number of accounts attributed to Non-Fatal SHC do not actually involve any form of witnessed flame… thus, the next two sub-types. The second sub-type of the Non-Fatal Cases are the cases characterized by Mysterious Burns. In these cases, the victims develope burns on their bodies that have no known external cause. These strange wounds commonly start as small discomforts that slowly grow into large, painful marks. The last sub-type of Non-Fatal Cases are those that exhibit Mysterious Smoke. In these odd and rare occurences smoke is seen to emanate from a person, with no associated fire or source of smoke other than the person’s body. In addition to these three sub-types, there are also certain repeating features that are common to two or more of the Non-Fatal Cases. I make note of these features for two reasons. First: it’s possible that these are the faint glimpses of new sub-types that will be seen in the future. Second: it’s equally possible that these features are evidence of an urban legend that’s being spread with the accounts (an urban legend is a story that’s not true, but that continues to be passed on with changes in the details). The first of the two features I want to point out is the repetition of the “Flaming Fingers” motif in three (?) of the accounts… this feature is especially suspicious because, out of the three cases, two are uncommonly close in time of occurence; if it was a genuine but rare feature, the three accounts would be expected to be spread further apart from one another. Though this is not damning, these cases will require further investigation. The second feature is the idea of a person with an abnormal control and/or resistance to flame, an idea I refer to as the “Firestarter” motif, after the Stephen King novel of the same name. At the moment there are only two accounts of this type, and they need investigation not only of the singular events that got them onto the SHC list, but also separate investigation of the more general claims of their abilities to control and/or resist fire. The initial beliefs as to the causes of spontaneous combustion were very straight forward; if a person explodes, then it was “a visitation of God,” and therefore some form of divine punishment. But as a more scientific thought pattern arose in Europe, the need for a more down to earth answer did also. The main argument around the issue of Spontaneous Human Combustion actually comes down to a simple point… is a human body combustible? Sure, under the right conditions a human body burns, but this is not the same as being combustible; to combust, the body must be consumed by flames and heat, and reduced to ashes in an explosively short time. 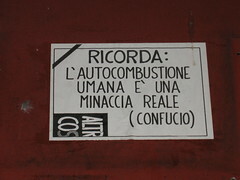 Scientifically it must be stated that, yes, there are conditions under which the human body will combust; but all of these circumstances require extreme external conditions to help, be it high temperatures (like sitting in a burning vehicle or furnace) or the use of accelerants (such as gasoline and kerosene). The mystery to SHC is the apparent lack of these external causes to the combustion; in true cases of SHC, the only ignition source that logic can dictate is the body itself. At this time, there is no scientifically known reason why a human body would combust, much less self-ignite… but there have been a lot of guesses. In the 1700’s and 1800’s, the popular belief was that SHC was caused by excessive imbibing of alcoholic beverages, the theory being that these combustible fluids would saturate the body making it likely to burst into flames at the slightest spark. Unfortunately, a close examination of the cases involved revealed that many of the victims were not alcoholics; besides which, a human being would die from alcohol poisoning long before they became any more combustible. So something else had to be at work. Farmers know that haystacks will sometimes burst into flame for no apparent reason; so could this be a clue to the nature of SHC? The answer, unfortunately, is no. The haystack combustion is scientifically understood… bacteria in the middle of the haystack are given the optimum conditions for survival, and so reproduce uncontrollably until their collective body heat is enough to ignite the dry straw. The conditions that allow this do not exist within an animal’s body, and if they did there still wouldn’t be combustion for the simple reason that a living body is not as easily combustible as dry straw. A human would die from the bacterial invasion long before the body became abnormally hot. Another theory is implied by the authors of Strange Stories, Amazing Facts. In their article about SHC entitled Inner Fires, they spend a great deal of space discussing the theories of Prof. Robin Beach (now deceased) of the Brooklyn Polytechnic Institute regarding human buildups of massive charges of static electricity. While it is made clear that Prof. Beach believed that certain people could build up enough of a static charge to accidentally light combustible materials, neither Prof. Beach nor the authors of the article state that they believe there is a connection to SHC. It seems clear that the whole point of Prof. Beach’s research, however, is to show that the human body can hold incredibly high charges of static charge without being harmed, and the authors themselves admit that electrical engineers have pointed out that no known form of electrostatic discharge could cause a human to burst into flames. Other theories include the idea that the electrical fields that exist within the human body might be capable of ‘short circuiting’ somehow, that some sort of atomic chain reaction could generate tremendous internal heat, that “geomagnetic fluctuations” cause the phenomena, or that an explosive combination of chemicals can form in the digestive system, fueled by a poor diet. This last theory is seen by Jenny Randles (in her book Strange & Unexplained Mysteries of the 20th Century) as a possible explanation for one interesting feature of SHC… the lack of known cases of spontaneous combustion in animals and non-European descendent societies. Randles explains this discrepancy as being a factor of diet that Europeans and Americans share. Many investigators make the mistake of trying to ‘explain’ SHC with other scientifically unproven phenomena. In the January 1982 issue of Frontiers of Science (according to The Encyclopedia of Unsolved Mysteries), Larry Arnold suggested that SHC may be associated with ‘ley lines’ — theoretical lines of ‘earth force’ that run across the globe. The existence of these lines was first suggested by one Alfred Watkins who, it is said, discovered a pattern in the location of a number of places called “Brent” (old English for ‘burnt’). Larry Arnold drew a dozen or so ley lines on a map of England and compared the results to the locations of mystery fires. Through this comparative method, he claimed to have identified what he called ‘fire-leynes’ — one of which is 400 miles long, and runs through five towns where (at the time) ten mysterious blazes had occurred. This same ‘fire-leyne’ was said by Arnold to have had several spontaneous combustions along it; he cited four cases which occurred on it between 1852 and 1908. In his book Fire From Heaven (also according to The Encyclopedia of Unsolved Mysteries), Michael Harrison puts forward a wide variety of theories as to causes of these strange fires. Among other things, he attempts to show a connection between SHC and telepathy, kirlien photography and auras, human magnets, geography, and ‘ritual dancing’ all to try to prove his theory of a connection between extreme emotional states and SHC. So far, no scientifically provable theory can account for Spontaneous Human Combustion, which has lead many to suggest an alternative theory by means of “explaination;” so-called “Preternatural Combustibility.” Proponents of the PC theory state that while there is no circumstance under which a human would self-ignite, there are certain people who are capable of combusting if exposed to the right conditions and ignited. No one has found a way to prove this can happen yet, and so the ‘preternatural combustibility’ theory has as large a question mark over it as does ‘spontaneous human combustion’ at the moment. However… what if the ‘combustion’ isn’t as ‘spontaneous’ as it seems? One of the largest problems in the study of Spontaneous Human Combustion is the constant inability (or unwillingness) of most researchers to look at the phenomena on a case-by-case basis. There is a tendency for so-called SHC ‘experts’ to shoot down theories that explain one case because it cannot explain another; using this method, any grouping of events can be argued as unexplainable as long as at least one of the events is not explained. This is neither scientific nor logical. The plain truth is that some cases of SHC are explainable when looked at carefully. The number one thing to notice when studying the cases given is that in the majority of these events the actual ‘combustion’ is not witnessed; and that further, in a majority of this subset of cases, the time between when the victim was last seen alive and when they were found immolated is several hours. This begs the question: Just how spontaneous does ‘spontaneous combustion’ have to be if it has several hours in which to do its work? There are three main arguments for a spontaneous combustion explanation in these cases. The first has been the assertion that the flames had to have caught the victim by surprise and been very fast about their work, or the victim could have found some way to avoid being consumed. This is a valid argument, and it must be accounted for; the obvious answer is that the victim must have been either incapacitated or dead previous to the burning… and, in a majority of these cases, we find evidence for the possibility of one or the other of these two states. Ironically, as Joe Nickell points out in his book Secrets of the Supernatural, the old theory that alcoholics are more liable to this form of death may be true — because the drunker a person gets, the more likely they’ll be unable to respond properly or in time if they do to catch on fire. The second argument put forward in defense of the spontaneous combustion explanation in these cases is the assertion that there was no outside source of ignition (lighters, heaters, candles, etc). However, when the full facts of these cases are reviewed, again a majority are found to have had an ignition source available that has been traditionally ignored in the retellings of the legends. The third and last argument for the spontaneous combustion explanation is that the flames must have burned at an anomalously high temperature to have reduced the body so quickly. This argument is supported by asserting two ‘facts’. The first is that, since the human body is composed a great deal of water, human bodies are just plain difficult to burn. The second assertion is that crematoriums have to run at temperatures of 2,500 or more degrees Fahrenheit to reduce a body in just 3 hours; so, logically, if the body is consumed by SHC in a shorter time, then the temperature must be exponentially higher. This slow consumption of a body by a lower temperature flame using the clothing as a wick and the body fats as fuel, dubbed “the candle effect” by D.J. Gee in 1965, also explains other effects associated with this kind of “spontaneous combustion.” In a room with poor ventilation, oxygen is quickly used up by open flames which then level out to a slow smolder, producing a heavy smoke; in the case of a human body, this smoke would contain grease from the burning body fats and soot from the clothing and body tissues. Because heat rises, the greasy, sooty smoke would coat the room starting from the ceiling and working its way down, stopping at any level that it could escape. This creates an orange greasy film that covers the walls and ceiling starting at a point several feet above the floor; and this is an effect often noticed in rooms where this form of “spontaneous combustion” has occurred. The actual burn damage is also limited to just the area that the fuel source (the body) occupies, because there is not enough oxygen in the room to sustain the burning when the fuel is gone. Above the burning, in the area occupied by the hot smoke, the ambient temperature becomes high enough to melt plastic and heat up metal; but no objects can combust in the smoke due to the low amount of oxygen. So clocks melt, and doorknobs heat up, but paper remains undamaged; and when the door is opened, the inrush of oxygen causes a dramatic flare up in any smoldering remains left. Thus a large number of cases attributed to Spontaneous Human Combustion are explainable by this “candle effect”. Of the remaining cases, some more undoubtably would fall into this same category of explainability if we only knew more about each one. And even though this is not proof that this explanation is necessarily correct in these cases, it does show that they have not been properly proven to be of a paranormal nature; and without proof of paranormality, science is compelled to accept the easier explanation. But don’t take this as disheartening; as ever, my goal is to separate the truly anomalous from the merely unusual. The strangest and most unique cases of SHC remain unexplained, and will undoubtably be unexplainable for some time to come… if they are explainable. The known claims of evidence for Spontaneous Human Combustion are listed here in chronological order. “There is only one other point on which I offer a word of remark. The possibility of what is called Spontaneous Combustion has been denied since the death of Mr Krook; and my good friend MR LEWES (quite mistaken, as he soon found, in supposing the thing to have been abandoned by all authorities) published some ingenious letters to me at the time when that event was chronicled, arguing that Spontaneous Combustion could not possibly be. I have no need to observe that I do not wilfully or negligently mislead my readers, and that before I wrote that description I took pains to investigate the subject. There are about thirty cases on record, of which the most famous, that of the Countess Cornelia de Bandi Cesenate, was minutely investigated and described by Giuseppe Bianchini, a prebendary of Verona, otherwise distinguished in letters, who published an account of it at Verona, in 1731, which he afterwards republished at Rome. The appearances beyond all rational doubt observed in that case, are the appearances observed in Mr Krook’s case. The next most famous instance happened at Rheims, six years earlier; and the historian in that case is LE CAT, one of the most renowned surgeons produced by France. The subject was a woman, whose husband was ignorantly convicted of having murdered her; but, on solemn appeal to a higher court, he was acquitted, because it was shown upon the evidence that she had died the death to which this name of Spontaneous Combustion is given. I do not think it necessary to add to these notable facts, and that general reference to the authorities which will be found at page 429,* the recorded opinions and experiences of distinguished medical professors, French, English, and Scotch, in more modern days; contenting myself with observing, that I shall not abandon the facts until there shall have been a considerable Spontaneous Combustion of the testimony on which human occurrences are usually received.